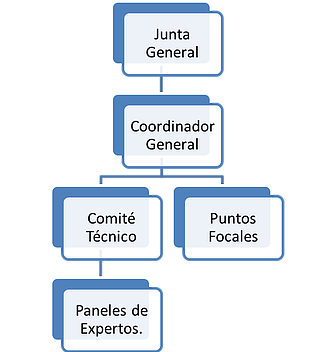 The structure of the Regional Safety Oversight Cooperation System (SRVSOP) includes a General Board, to act as the maximum decision-taking body and determine the activities and policies to be undertaken by the SRVSOP, and is composed by the Directors General of Civil Aviation from the Systema? ?s Member States. SRVSOP is managed through an International Civil Aviation Organization (ICAO) regional technical cooperation project. The Regional Director of the ICAO South American Office in Lima, headquarters of the SRVSOP, is the General Coordinator of the System and is who administrates and guides the implementation of the mandates of the General Board.